How long do I have to file my personal injury accident case? A statute of limitations is a designated period of time that someone has to take legal action against a liable party. Every state has its own filing deadlines for specific kinds of cases. 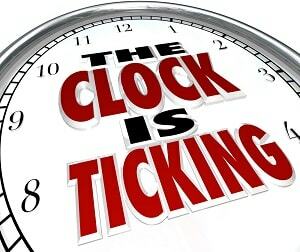 It is important that you know how long you have to file a personal injury claim in Tennessee following a car accident. According to Tennessee Code § 28-3-104, personal tort actions (including injury claims) have a statute of limitations of one year from the date of the initial incident. Instances of disability. If the accident in question results in permanent disability or mental incompetence of the claimant, whereupon the victim cannot make legal decisions based on his injuries, next of kin can file a claim on his behalf. However, since determining competency and surrogate rights can take time, Tennessee courts will consider the delay and potentially extend the statute of limitation by 120 days. Wrongful death. In cases where the victim is deceased, whether by cause of the initial accident or by injuries sustained from the accident, the one-year statute of limitations may be extended. Since death may not be immediate, family members cannot be expected to file a claim based on the accident date. Therefore, in these situations, the statute of limitations will either be extended by 120 days, or reconfigured to begin not on the date of the accident, but rather on the date of death. Instances of wrongful concealment. Since the defendant in an injury claim can use the statute of limitations deadline as a defense to have the case dismissed, it stands to reason that prolonging the claim is in his best interest. However, if a defendant willfully or maliciously withholds evidence needed to complete a claim, he’ll be subject to penalties. Therefore, in addition to penalties, the court may also extend the statute of limitations deadline to compensate the claimant for time lost as a result of the defendant’s actions. Need more information and advice regarding your injury claim? Contact us today for a FREE consultation about whether you're entitled to damages or compensation for your injuries. We can help you build a strong claim. Remember, time is not on your side. Share this article via Facebook, Twitter, or email to provide them with the information they need to secure their claim. For additional resources, download your complimentary copy of John Griffith’s free personal injury case guide, The 10 Worst Mistakes You Can Make With Your Tennessee Injury Case. What steps should I take to protect myself while driving when I am pregnant? You have a lot of things to worry about when you are pregnant, including the risk of being injured in a car accident. Learn more about how to keep yourself safe, what harm can be done in a car crash, and what legal options you have following a crash here. Never ride in a moving vehicle without a full lap and shoulder belt. Sit as far away from the steering wheel as possible, while still being able to safely reach the pedals. Wear the belt as tightly as possible while remaining comfortable. Position the belt so that the diagonal strap rests on the shoulder (not neck) and lies between the breasts, but over the breastbone. The lap belt should rest on the thighs, above the pelvis, but beneath the abdomen. In no circumstances should the strap rest on or cross the stomach. Considering the risks involved, your number-one priority following a car collision should be the protection of your baby. It doesn’t matter if the collision was just a fender bender, if you or your baby suffered the jolting effects of a collision, you need to verify that everything is normal with your pregnancy. When you’re examined after a car accident, you should expect your physician to order tests, ultrasounds, and electronic fetal monitoring to check the position and health of the baby. Once the exams and tests are finished, your doctor may suggest bed rest for the remainder of your pregnancy to prevent any further trauma. After seeking medical attention, you can begin to tackle the legal side of liability and damage compensation. A personal injury claim can not only help pay for medical bills and property damage but, depending on the circumstances, may also cover pain and emotional suffering that resulted from the trauma. For a more thorough discussion on your options for injury recovery following a collision, contact us directly at 877-959-8847. We’ll be happy to discuss your case in more personal detail and recommend the best options for pursuing a claim. Did this information answer your questions? Connect with us on Facebook and let us know. While you wait to schedule your review, feel free to download and read our FREE report, The 10 Worst Mistakes You Can Make With Your Tennessee Injury Case for more insights into how to handle your claim. Can I recover compensation if I am partially at fault for an accident? Which insurance company should pay my medical bills in my car wreck case? 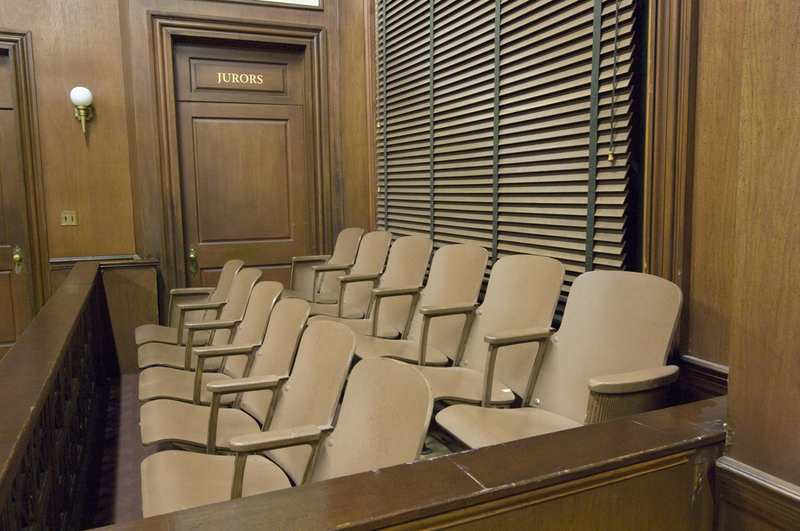 What Should I Expect in a Jury Trial? I was injured as a passenger in a car accident. What are my rights to a recovery? The more passengers there are in a car, the higher the risk for collision injuries. In fact, the driver’s natural instinct for self-preservation often places passengers in harm’s way. To avoid a collision, a driver will instinctively turn the steering wheel away from the oncoming obstacle and inadvertently move the passengers directly into the obstacle’s path. According to the Insurance Institute for Highway Safety, over 20,000 passengers were killed as a result of car accident injuries, while driver fatalities numbered 15,000. Despite this discrepancy, accident injury information tends to be geared towards drivers, not passengers. In this article, we will help you understand your rights and options for injury claims as a passenger hurt in a car accident. Your driver. The driver of the vehicle in which you were the passenger could be held liable by all parties (other driver and other passengers) if his negligence led to the collision. Although you may not want to accuse a friend or loved one of causing your injuries, a claim against him may be your only option for recovery. The other driver. If the driver of the vehicle that crashed into you is determined to be at fault, you are eligible to file a claim against him and his insurance company for damages. Third party negligence. In a case where an outside factor (Construction, road damage) caused or contributed to the collision, you may be able to pursue a claim against a third party. For example, if a company did not install appropriate flashing lights, orange barrels, or other warning signs to indicate a hazard, the road construction company may be considered liable for your resulting injuries. Personal insurance. By default, Tennessee auto insurance policies include coverage for uninsured and underinsured motorists. Therefore, if the liable party does not have the insurance to cover his negligent responsibilities, you may be able to file a claim with your own insurance to cover medical expenses and lost wages due to your injuries. All of the above. Tennessee is a fault state; meaning that those responsible for your injuries are liable for your damages. It also means that liability can be divided among multiple parties, each party being responsible for the percentage of the damages for which he was found liable. When pursuing a car accident injury claim, whether you were the driver, passenger, or pedestrian, as a victim, you’ll need help filing your claim, understanding your rights, and convincing the insurance company that your injuries require a fair settlement. At GriffithLaw, we’re here to give you the guidance and support you need to pursue a successful personal injury claim. Call 615-807-7900 to schedule your FREE consultation today! Need more information about traffic accident claims? Feel free to browse our site to see how our experience and knowledge can help you get the settlement you deserve. 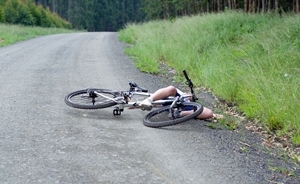 What should I do if I am a victim of a hit-and-run accident while riding my bicycle? Bicycling should be a relaxing, healthy, and above all safe activity that you and your family can enjoy together. Unfortunately, safety takes a back seat when bicycling near traffic. According to the National Highway Traffic Safety Administration, 2% of traffic accidents are bicycle-related, accounting for 743 bicyclist deaths and 48,000 injuries. Sadly, some of these types of accidents are made even more painful when the perpetrator fails to acknowledge the accident and leaves the victim alone, in pain, and with nowhere to turn. Report the accident immediately to the police. You need to begin a paper trail and record of the incident as soon as possible to show your insurance company. This record will show the time of the incident, why the guilty party’s insurance isn’t involved, and the general facts of the accident. Furthermore, if possible, you can tell the officer about the make of the car that hit you as well as any distinguishing features to help the police track the driver down. Obtain witness statements. If possible, take down witness statements and information (name, address, and telephone number) of anyone who may have seen the accident or may be able to identify the driver. This information can be critical evidence for your claim as well as prosecution for the hit and run driver. Seek medical attention. Depending on the severity of your injuries, getting appropriate treatment should be your number one priority. If your injuries are severe or life-threatening, do not wait to give a police report or waste time getting witness statements. Your immediate welfare is more important than a potential claim. Call your personal injury attorney. A hit and run case can be extremely tough to prove when the police fail to identify the driver. However, an experienced personal injury lawyer can help you build a strong claim, gather important evidence and documentation, and illustrate the point that your injuries were not your fault. Since you’re a victim of someone else’s negligence and criminal acts, he can argue that you shouldn’t be held personally responsible for the financial consequences of that person’s actions. Furthermore, an attorney knows the intricacies of insurance coverage and how uninsured motorist coverage may be able to cover the expenses caused by the hit and run driver. Call your auto and health insurance companies. Your own uninsured motorist coverage may help cover your expenses for injuries and property damage even though you were not driving. However, since the coverage terminology is up to interpretation, you’ll need an experienced attorney to argue your case. Contact attorney John Griffith today for a FREE consultation and allow him to explain your coverage rights and claim options. Call us today at 877-959-8847 to get the support and guidance you need. According to the American Humane Association, every year an estimated 4.7 million people are injured as a result of dog bites, some of these cases even prove to be fatal. In response to this alarming number of preventable injuries, the Tennessee legislature has begun to rethink their dog bite laws. In fact, in 2007, after a multi-dog attack fatally wounded a 60-year-old woman, the legislature decided that laws needed a complete revision and passed an updated set of dog bite laws—revised again in 2015—that discounts the “first bite rule” in favor of circumstantial liability. You may be entitled to compensation whether or not it was the first time that dog showed aggression. You have one year to file an injury claim. You will have to be careful about how you respond to the attack in order to secure a strong injury claim against the dog’s owner. Withdrawing to a safe place. The first thing you must do is increase your distance from the aggressive dog to prevent further attack and injury. Treating the wound. When a bite breaks the skin and causes excessive bleeding, you should keep the area elevated to limit blood loss. If possible, wash the wound with tap water to remove debris and saliva. Securing emergency care. Depending on the severity of the bite, you may need to call an ambulance as professional help may be required to treat your injuries. Identifying the dog. Before leaving the scene of the attack, try to identify the dog, where he came from, who he belongs to, and where he lives. Gathering personal information from the owner. Record the owner’s name, address, and phone number. Ask the owner for the dog’s license information and question him about any prior incidents in which the dog may have been involved. Seeking medical care. Always seek medical care after a dog bite. 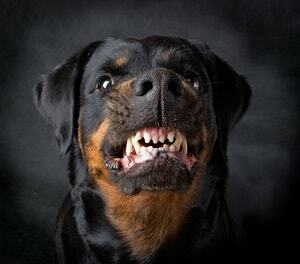 Since bites tend to break the skin, the attacking dog’s saliva can easily make its way into your bloodstream and cause infections. Photographing injuries. If possible, document your injuries and any damage by taking pictures of the wounds, where they took place, and any other results of the attack. These photographs can be used as evidence in your case and help illustrate the extent of the attack. Filing a report. Once you’ve been treated, file a report of the incident with your city or county animal control or sheriff’s department. This report can be used as evidence in your claim as well as provides documentation of the dog’s aggression. Contact an attorney. The best way to guarantee that your claim is just as vigorous as the dog who attacked you is to secure a respectable dog injury lawyer. Considering the complexities and restrictions of Tennessee dog bite laws, a local and well-respected lawyer can help you understand and fight for your rights. If you or a loved one has been seriously injured, contact GriffithLaw today at 877-959-8847 to see how we can help you get the compensation you deserve for your injuries. When it comes to car accidents, states handle liability differently. Some states have “no-fault” policies. If you’re involved in a collision in a no-fault state, your personal automotive insurance should cover the resulting damages, both physical injuries and property damage. Other states, Tennessee included, are “fault states.” Fault states rely on the liable party’s insurance to pay for damages sustained to all parties. These laws are pretty straightforward when the liability of a collision is obvious. However, the problem arises when partial fault comes into play. Who’s responsible for damages if both parties contributed to the accident? State law determines who pays for what when a collision is proven to have been caused by multiple parties. These laws include comparative negligence, modified comparative negligence, and contributory negligence. Tennessee follows the modified comparative negligence system. If the claimant is found to be 51 percent or more responsible, he isn’t entitled to recover any damages. The awarded settlement will be calculated based on the final declaration of fault percentage. For example, if the awarded settlement is $10,000, but it was determined that you were 40 percent at-fault, your settlement will be reduced by 40 percent. Therefore, rather than receiving the full $10,000, you’ll be awarded $6,000 in damages. Under this system, then, you can recover damages even if you contributed in some way to the accident, but only if you are assigned less than half of the blame for the crash. Deciding upon the percentage of blame becomes a key factor in a car accident case. You will need to gather evidence to prove that you were less than 50 percent at fault. An experienced car accident attorney can assist you in this process. Does this information answer your questions? Connect with us on Facebook and let us know. For a more thorough discussion on your options for injury recovery following a collision, contact us directly at 877-959-8847. We’ll be happy to discuss your case in more personal detail and recommend the best options for pursuing a claim. Why Can't You Talk About Insurance in a Trial? When you're hurt in a car wreck, you probably expect the insurance company to pay your medical bills afterward However, victims of accidents in Tennessee may have several insurance options to cover the costs of their injuries. While this is helpful, it can be an extremely confusing process to sort through if you’ve never been in an accident before. If you aren’t sure which insurance company might be responsible for paying the costs of your care, here are some things that you need to know. Your health insurance. Your health insurance should pay for your immediate care, and the benefit is that it will generally pay you as expenses are incurred. This often means that you can avoid putting your credit in danger for financing expenses, or worrying about how to get the care you need. Some facilities may tell you they can’t receive payments from your health insurance for injuries related to an accident, but this isn't a law in Tennessee. If you need treatment for your injuries, you can—and should—push your insurance company on the issue, especially for any hospital or emergency care you received. The medical coverage on your car insurance. 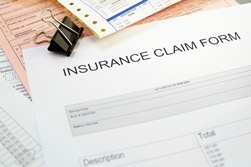 The medical coverage on your car insurance may pay some of the costs of your injury. However, there are usually limits on your medical coverage. You should also be aware that you have to pay back that money when you settle with the at-fault driver's insurance company, so it’s really more like a loan until the settlement is complete. The liability insurance held by the other driver. When another driver’s negligence caused your accident, that driver’s liability insurance should cover your medical costs. Be aware, though, that liability insurance only makes payments at the end of case. Although it’s possible to receive payments intermittently, it's extremely difficult to get them to pay your bills as they are incurred. You also need to beware of low settlement offers that don’t fairly compensate you for your losses. Many victims of car accidents struggle to understand their rights, take appropriate action, and get the compensation they deserve for their injuries and suffering. When multiple insurance companies are involved, or when there's a dispute about which one will pay your claim, it can seem almost impossible to get the simple answers you need. Do you need help determining who is responsible for paying your medical bills after a wreck? The attorneys at GriffithLaw have decades of combined experience helping victims and families in Nashville get the legal support and compensation they need after they’ve been hurt, and we’d be happy to answer any questions you might have. To get started, reach out to us at 877-959-8847 or request a copy of our free and informative book, The 10 Worst Mistakes You Can Make With Your Tennessee Injury Case. If you’ve been in a car accident and are considering working with a personal injury attorney, you may be wondering how a jury trial works and what to expect. In Tennessee, a personal injury jury trial consists of five basic phases, each of which has a key role in achieving a favorable outcome for victims of driver negligence. We discuss each phase of a jury trial here. During this initial phase in a personal injury dispute, each party participates in selecting an objective jury to ensure a fair trial for both the plaintiff and the defendant. Attorneys ask questions of each potential juror in an attempt to identify biases that may affect the outcome of the case. Each attorney is able to dismiss a certain number of jurors. During the opening statements in a jury trial, each party is invited to present factual information to support their later arguments. This allows each party to present the case and provide the jury with context for the discussion to follow. In this phase, the defense has the chance to dispute the plaintiff’s argument of negligence, as well as any claims for losses or harms to the plaintiff. The defense may similarly use the testimonies of witnesses and experts to support an argument. 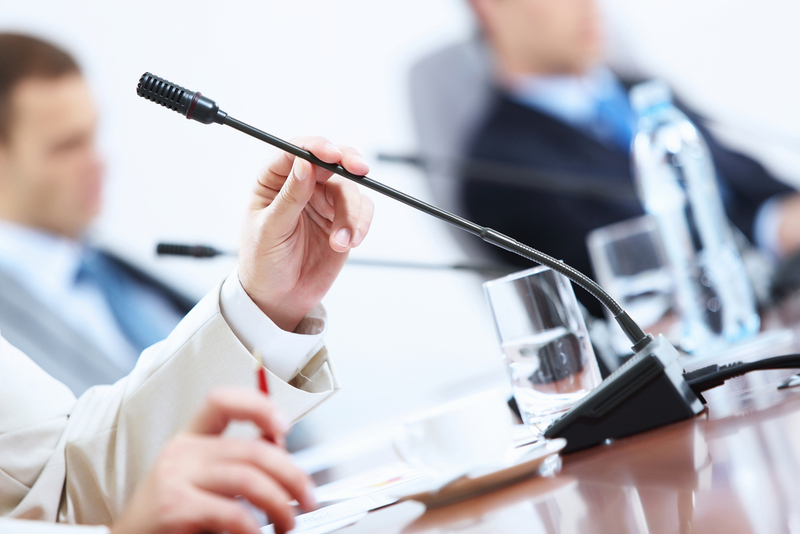 During the closing arguments in a personal injury trial, both parties are invited to argue their sides one last time. With an understanding of relevant laws, the jury is then allowed to deliberate over the facts of the case. Tennessee law requires a unanimous jury agreement to deliver a judgement. Much preparation is needed to successfully navigate the process of taking a personal injury case to trial. For assistance with your case, contact GriffithLaw today. I’m Hurt!! Now What Do I Do? 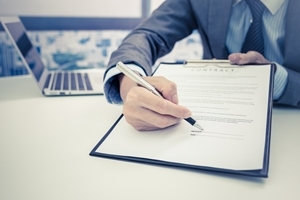 What should I know before signing documents from an insurance company? Insurance adjusters are trained to deal with car accident victims in order to avoid having to pay large settlements. The premier tactic they use at the beginning of a collision injury claim is making you believe that you must sign consent forms and give a recorded statement. The permission to acquire your private medical records (both past and present). Evidence of prior injuries that could negate your current injury. The power to question your doctors (both past and present) and gather information that could discredit your claim. The consent to view medical history, including prescribed medications. Some insurance companies will use prescriptions as a way to discredit the validity of a claim. They'll suggest that you may not “remember” exactly what happened if you were on this drug, or you may be “confused” about the incident because you were on that drug. Agreeing to give a recorded statement can further damage your claim by giving the adjuster the opportunity to use your words to discredit you. “It’s our policy.” An adjuster may claim that it is the company’s policy to get a recorded statement or signature of consent before investigating a claim. Although the adjuster was probably trained to say it is policy, this doesn’t mean that you’re required to give in to the request. When an adjuster brings “policy” into the conversation, respond by telling him that you’re uncomfortable providing any such information until you speak with your attorney. “We need it to process your claim.” Again, this is a statement to provoke a reaction. Whether it be fear (they’ll deny the claim unless you do it), hope (if you give them what they want, they’ll give you what you need), or anxiety (what will they do if you don’t do it), the right reaction will work in their favor. However, an insurance company can’t refuse to process your claim—even if they could, you can simply refile after speaking with an attorney. “Otherwise, we’ll close your claim.” This is an empty threat. It’s true that closing a claim is a mere click of a button, but so is opening a new one. Any type of threat from an insurance company should be taken with a grain of salt. No matter the threat, if you have a viable claim, they can’t ignore it—especially when you have an attorney familiar with insurance tactics backing you up. Make sure your family and friends are aware of the consequences of signing consent forms and giving recorded statements to insurance companies. Use your social media to share this page with them via Facebook, or tell them to contact us directly to discuss any potential questions or concerns they may have about a recent accident. Remember, they may not know their risks until it’s too late. For more information on how you can quickly and reliably secure a dependable attorney, contact us today. I used to be an insurance adjuster, so I know how manipulative they can be—I also know how to fight back. Call today and I’ll be more than happy to discuss your case and provide you with the guidance and support you need to avoid being taken advantage of after an accident. Download our free guide to managing a personal injury claim in Tennessee.